This is the second part of a three part essay on rapid MVP creation to start testing assumptions. Part One is here. It was written for my Creative Founder class. There are two useful skills to acquire to execute this technique: how to draw and how to tell a story. Not required, but useful. Stick figures are always welcome. The design sprint is the latest hot method for getting from nothing to something as quickly and effectively as possible. But it’s not really a new approach. It’s based on design charettes. Charettes were originally used by architects in the 19th century. A studio of junior and senior architects would furiously work nonstop on potential design directions, iterating and building on each other’s ideas until no one knew who thought of what. They’d then work through the night to build scale models of the best building directions. 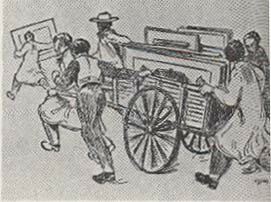 In the morning, a cart (the charette) would arrive to pick them up to take them to the client. Call it a sprint or a charette, the goal is to create ideas embodied in a scale model or prototype. Those models should have enough fidelity they can be evaluated by clients or customers, but not enough fidelity that they can be considered finished. A good prototype invites conversation and collaboration. The following is the method I take students and client through to create those early prototypes. This process can be done by anyone, from ops to finance. Many hands means many ideas means higher likelihood of innovation. You know who shouts out their ideas? Extroverted white men. Try a simple technique called “Freelisting.” As we discussed in the last article, we want things (insights, ideas) in a modular form so we can manipulate them to see synergies. In freelisting everyone SILENTLY writes down their ideas. EVERYONE. Freely. Small enough they can only hold a single idea. 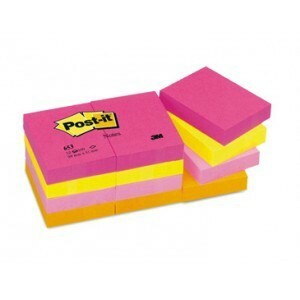 Get a BUNCH of post-its, at least one pad per person. I recommend the small ones: 1.5x2in. Set a timer for at least five minutes. Now each person writes as many ideas she can think of, one per post-it. ONE PER POST-IT. They have to be modular so we can rearrange them. It’s done silently. If you are talking, you are doing it wrong. Time is a funny thing. You write down ideas for 2 minutes then you think you’re out of ideas. Also, it feels like ten minutes. But the longer you freelist, the more painful it becomes… and the more productive. In the first few minutes, all the obvious ideas pop-in our mind. But go a bit longer, we think we’re out of ideas. We sit miserably in silence. My redrawing of Alex Osterwalder’s VPC. Sorry Alex. When working with the value proposition canvas for early stage brainstorming, it’s useful to make a few mods to the canvas. First change: Because in the west we read from left-to-right, I always place the user on the left because we begin with an understanding of the user. 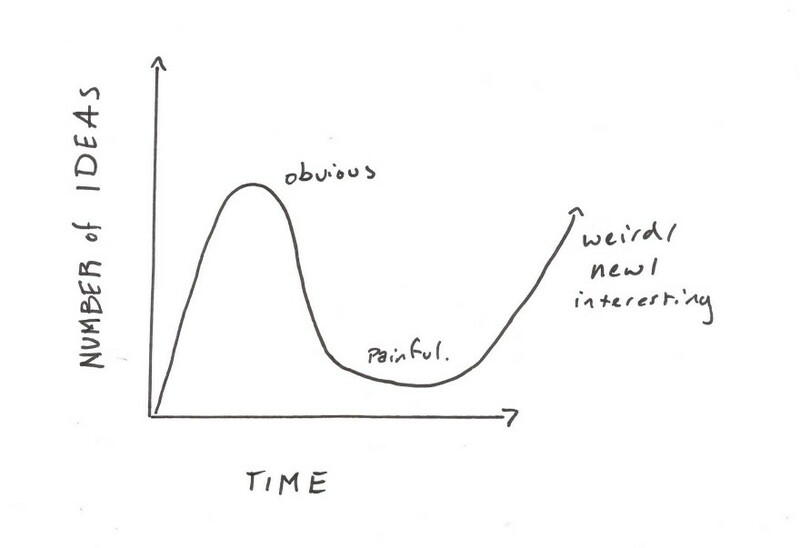 Second change: When I use the VPC in an ideation session, people always get stuck differentiating between pains and gains, and pain relievers and gain creators. So I made it a continuum instead of separate regions. Put it where you think it lives! Some things do both! Let’s start with the assumption assume you have filled in the left customer side after your needfinding session. I have pointed out the Value Proposition Canvas is hard to work with, and requires some mods to understand. I’m going to recommend a new canvas now you can try (please give me feedback!). Pains and Gains: from earlier work on needfinding. Granular solutions from pains and gains: features or specific things a person could do for the customer. Combine features and microservices into products and services. What makes a compelling and viable product? Goal: Generate ideas for valuable solution to a customer need. Activity: Freelist every single gain creator and pain reliever you can. Silently, no discussion, just write them down. If you get stuck, write down the worst idea you can think of. See if that loosens up your brain. Keep it, it might inspire someone else later. Timing: Five minutes to freelist. Then chunk them into similar themes. If two ideas are identical, put one post-it directly on top of the other, like a second vote. You can decide later if that’s because its’ what everybody does, or it it’s because it’s critical functionality. If you come up with something new because of what you see while chunking, add it! Now take three more minutes to come up with products or services that combines the pain relievers and gain creators (you may wish to use slightly larger post-its.) Example: a suitcase that teaches kids to pack what they really need for a trip and holds down their tendency to only bring toys. A marketplace that connects self-published writers with native language translators. Now that we have created some ideas for potential products, let’s flesh them out. This next series of exercises is best done in a group of three to six. The rhythm of these sessions is: create something silently apart, share with each other, and with no discussion, vote for a direction. Then create again, combining the best ideas and make a new thing. What I find fascinating about this approach is that it’s a gentle form of critique. Good ideas are taken and expounded upon, bad ideas are quietly discarded. We’ll start with a story. Panel Two: The inciting incident. What makes them decide to journey toward their goal. Panel Five: introduction to your product or service. Panel Six: How the customer’s life is changed. The following is how to run it as a charette. 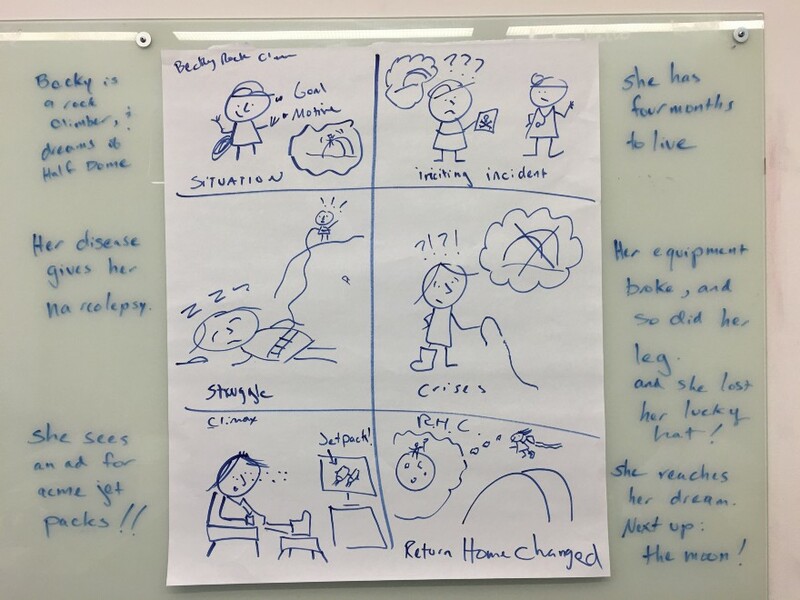 Goal: Use story to place your solution into a user’s life. Activity: Sit with your teammates (3–6). 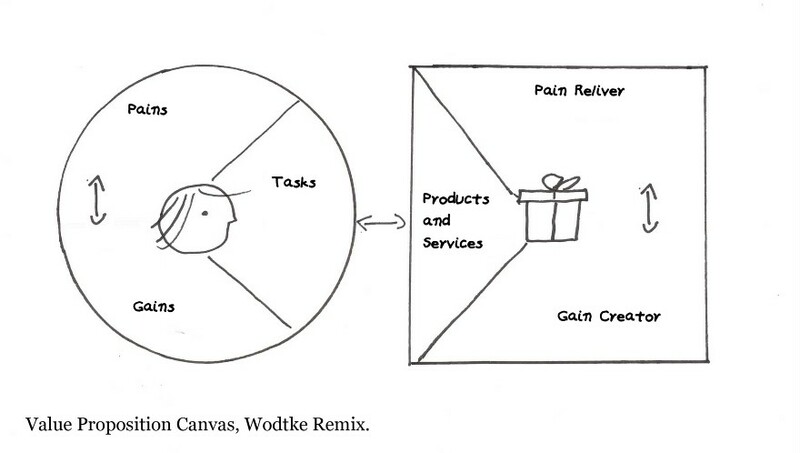 Ask everyone to pick a product or service from the Value Proposition Canvas. They do NOT share this choice with anyone else. All participants take a piece of regular old printer paper, and fold it into six panels, then trace the folds with a pen. Now draw the six panel story. Advice on working efficiently: put a word or two in each panel. Then illustrate the ideas simply. Finally return to add detail. Timing: Ten minutes. Be sure to call out five minutes, 3 minutes, 1 minute so people can rush to complete. If you can, demonstrate the storyboarding with your worst drawing skills, so people have permission to be crappy. Goal: Pick a use case to explore with product design. And learn that not everything has to be discussed to death. Activity: Everyone gets 1 minute (as timed by iphone) to walk the rest of the team through their story. 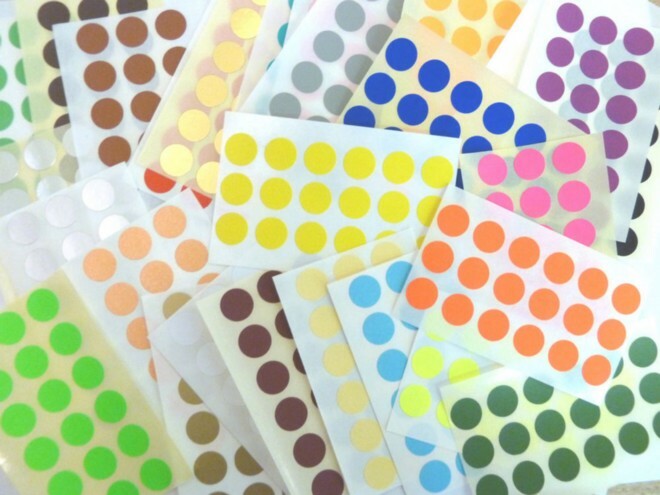 Then all vote on the story they want to work on by placing a dot (or post-it) on it. a) you are not picking the best drawn story. You are picking the story that is real and that has the highest potential (you believe) to make an impact on customer’s lives. b) the one you choose is a base, but you can take good ideas from others as you develop the product. A charette is all about building on each other’s ideas.